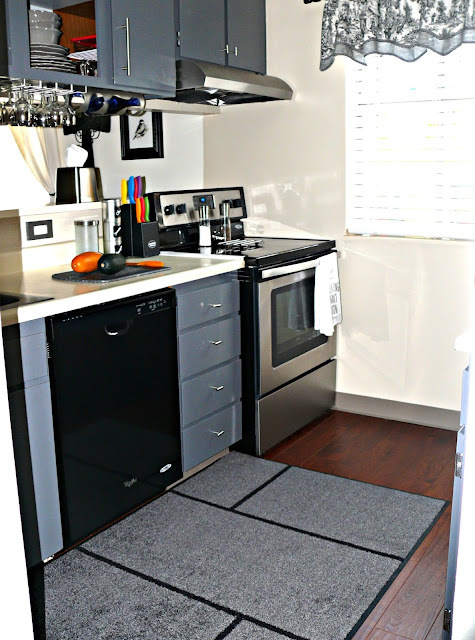 You seen my post on the DIY Re-surfacing cabinets, now take a look at our new flooring! This was one of the main things to do on my list of renovations. The previous tile was White, cracked and some no longer holding in place. The Grout was crumbling out and it looked just bad. This is on area, I did not do myself! Literally I did everything myself, but the wood flooring. I hired Home Depot, found a nice wood color on sale for 0.99 sq foot and then took out the many options they try adding on for high fees and got it in the range I could wing. I watched them do it and I can tell you, I still wouldn't want to do it and I'm all about saving money. So I replaced flooring in the entry way, some of living space, kitchen and hallway. Next year putting in a new shag carpet for both bedrooms. 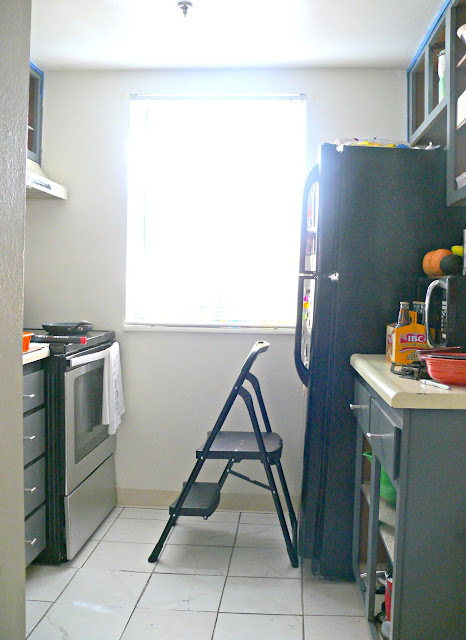 Next Kitchen Renovation was new lighting, wall paint, faucet & accessories. Sharing Soon! What type of flooring is this, ceramic tiles that looks like wood, or vinyl laminate? I like the look of actual waves in the flooring. Like pieces of hand cut wood. Thanks. Looks great! Are you really doing shag carpet?